I am always looking for fun ways to get my students active and out of the classroom. I love being able to go on adventures with them. This letter game requires very little prep and it allows my kindergarten students to move throughout our school for a full 40 minute period. It is perfect for indoor recess days when kids can’t get outside, but need to move. 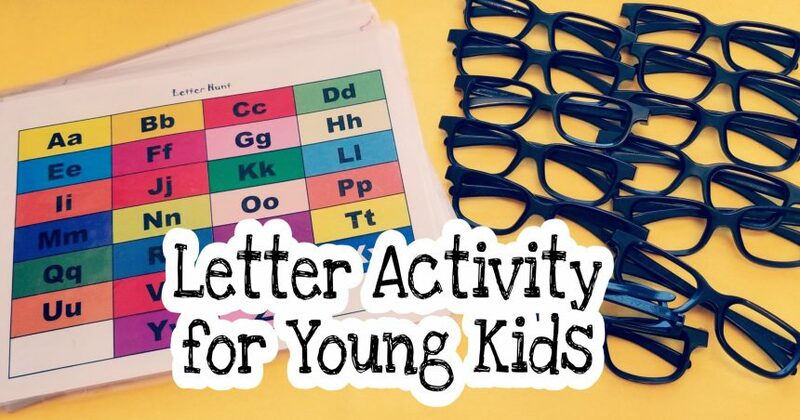 Letter games are simple, but a lot of learning, and fun, happens on this hunt. 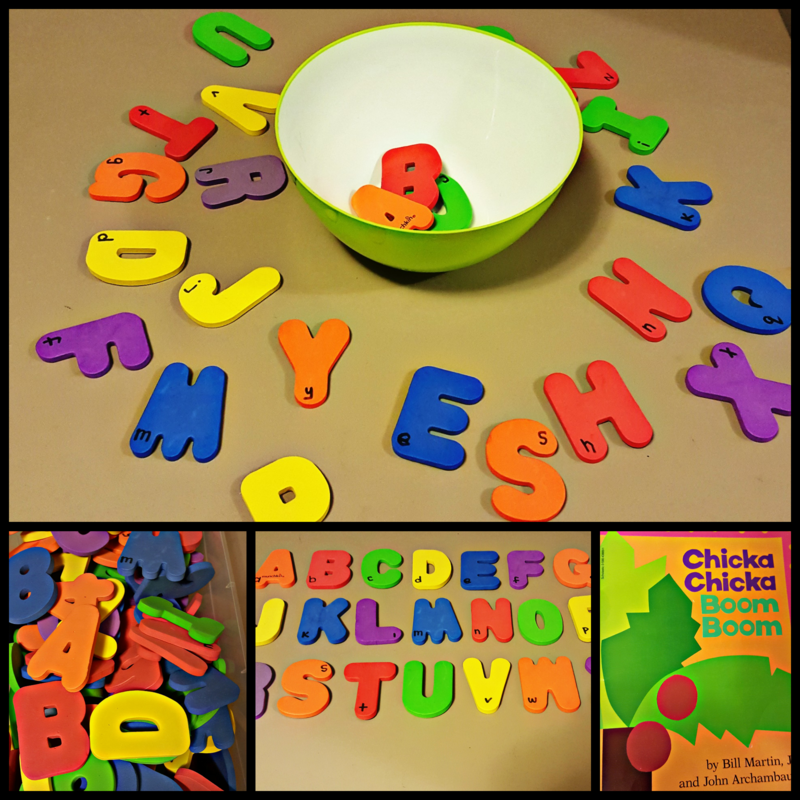 This game is a great way to practice letter recognition as well as letter sounds. I printed a copy of the “Letter Hunt” sheet for each student and gave them each a clipboard and pencil. I have also been collecting plastic glasses and (finally) had enough to use for this game. 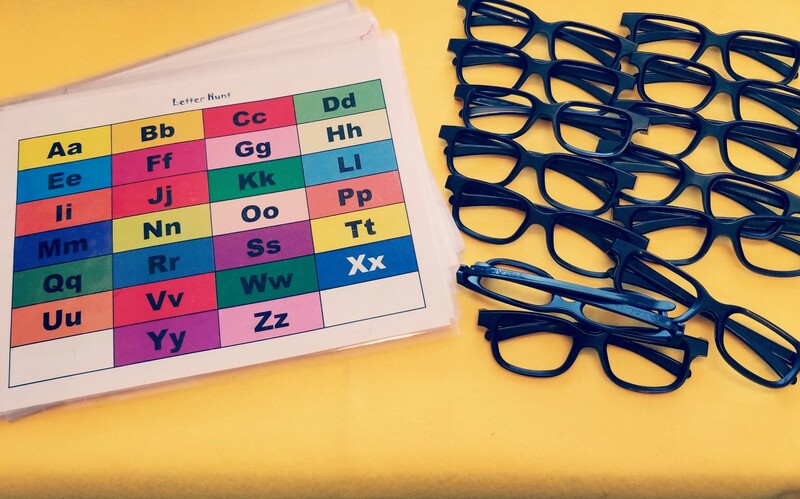 Each student was given their ‘special’ glasses to help them be detectives and spot the letters easier. Once everyone had their sheet, clipboard, pencil and glasses we were ready to start our hunt! 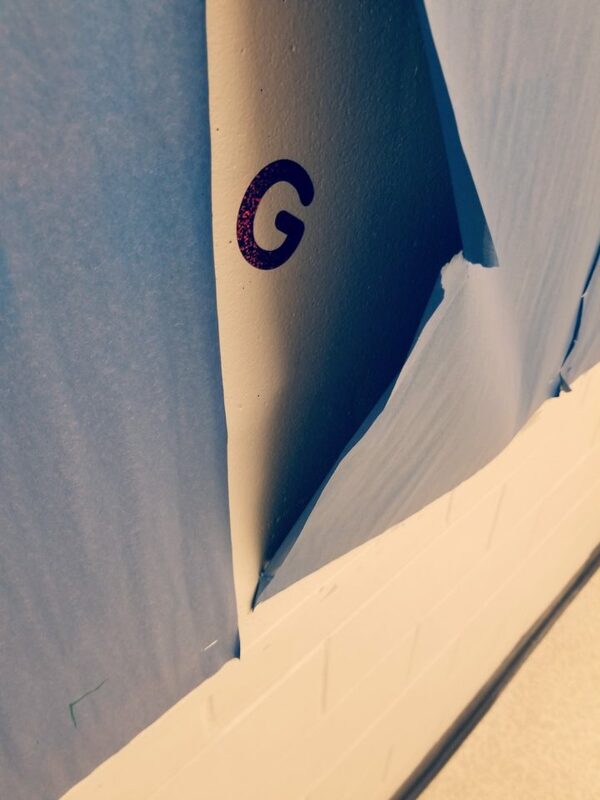 I used alphabet stickers and stuck each letter somewhere around the halls of the school. I kept the letters in alphabetical order and didn’t hide them in too challenging of places. We stayed together as a group and once we found a letter we made the letter sound and students crossed it off on their “Letter Hunt” sheet. My students were so excited each time they found a letter. Since they were in alphabetical order, they were able to identify when they skipped a letter and we would go back and search for it. I put some of the letters low on the ground, and others high on the ceiling. 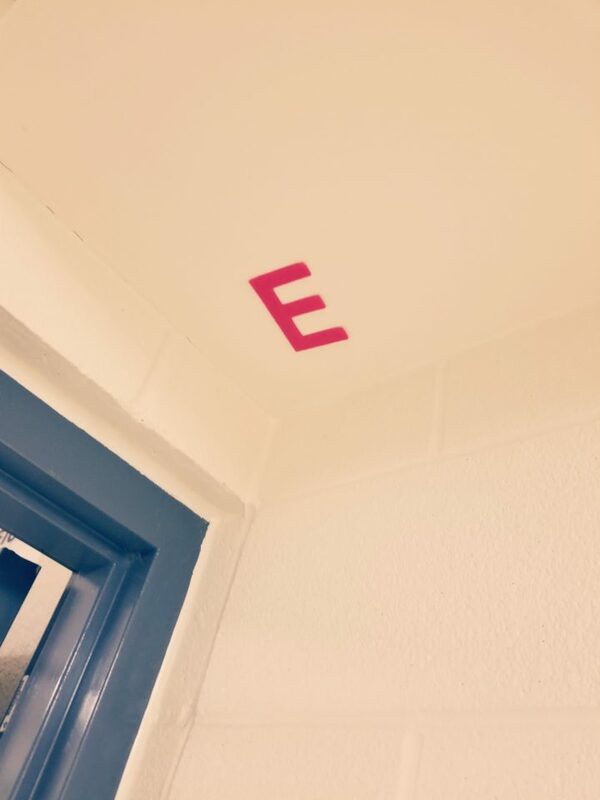 When we finally found ‘Z’ on the other end of the school, students were excited and proud to have completed the alphabet. It was also a great way to get out of the classroom and get moving when we couldn’t get outside.